Cheap Weekend Fun in Boston for May 7-8, 2016! Here’s some fun and cheap things to do this Mother’s Day weekend in the Greater Boston area! 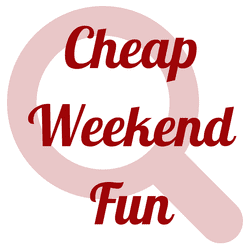 Don’t forget to check out the post Where Mom Gets in Free on Mother’s Day for more fun and cheap things to do on Sunday! Free Ferry Day to Boston Harbor Islands: Saturday, May 7, 2016. It is Opening Weekend for Georges and Spectacle Island and celebrate with a free ferry ride! Lilac Sunday: Sunday, May 8, 2016 at the Arnold Arboretum. Celebrate the lilac with this daylong celebration with family activities, food vendors, and more! Wake Up The Earth Festival & Parade: Saturday, May 7, 2016 in JP from 12pm to 6pm. Enjoy this festival with 4 stages of music and performances with fun for all ages! Free Comic Book Day: Saturday, May 7, 2016 at participating locations. Celebrate Free Comic Book day with a free comic book from over 2,300 comic book stores participating in this annual day! First Free Yoga in the Park: Saturday, May 7, 2016 (and Every Saturday until September). Kicking off this Saturday for the spring/summer season, head to Baxter Riverfront Park in Somerville for free yoga. Registration required. ArtWeek Boston: April 29, 2016 to May 8, 2016. Enjoy this 10-day festival with over 100 different events celebrating the arts in Boston! Events are $0-$50, depending on the event. The Big Apple Circus The Grand Tour: Last Chance!! Daily until May 8, 2016 at City Hall Plaza. Check out the Big Apple Circus in Boston with many discount ticket options. Bank of America’s Museum on Us: Saturday and Sunday, May 7-8, 2016. Bank of America & Merrill Lynch cardholders can get into select museums the first weekend of every month for free by showing their bank card (per cardholder, not family). Museum of Fine Arts, MIT Museum and other museums across the state participate. Please let me know in the comments below if I missed any great and cheap events! Hope you have a great weekend!